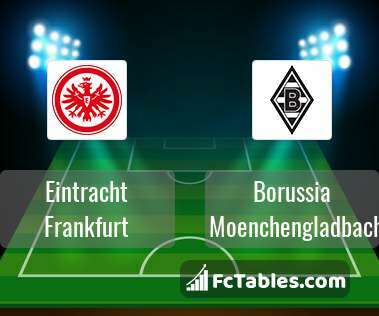 Kick off Eintracht Frankfurt-Borussia Moenchengladbach in 1. Bundesliga on today 14:30. Referee in the match will be Deniz Aytekin. Team Eintracht Frankfurt is located in the middle of the table. (6 place). Form team looks like this: In the last 5 matches (league + cup) gain 6 points. Eintracht Frankfurt did not win the match from 3 games. from 4 matches team have not been defeated. The most goals in 1. Bundesliga for Eintracht Frankfurt scored: Luka Jovic 14 goals, Sebastien Haller 11 goals, Ante Rebic 7 goals. Players with the most assists: Luka Jovic 3 assists, Sebastien Haller 8 assists, Ante Rebic 3 assists. 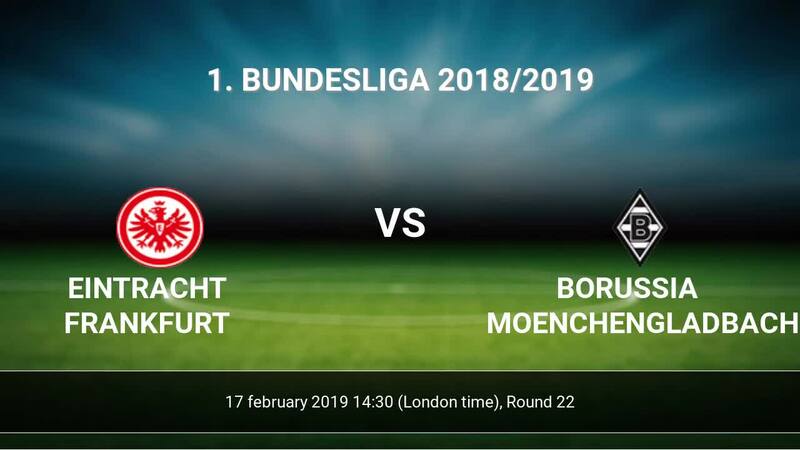 In Eintracht Frankfurt not occur in the match due to injury: Lucas Torro, David Abraham. Team Borussia Moenchengladbach is at the top place in the table (3 place). Last 5 games (league + cup) finished balance 9 points. From 2 matches away no lost a match. Players Borussia Moenchengladbach in 1. Bundesliga with the highest number of goals: Alassane Plea 10 goals, Thorgan Hazard 9 goals, Jonas Hofmann 5 goals. Players Alassane Plea 3 assists, Thorgan Hazard 8 assists, Jonas Hofmann 4 assists will have to be very well guarded by defenders Eintracht Frankfurt, because they have the most assists. Injuries in the team Borussia Moenchengladbach: Raffael, Mamadou Doucoure. Direct matches: usually ended with winning of Borussia Moenchengladbach. 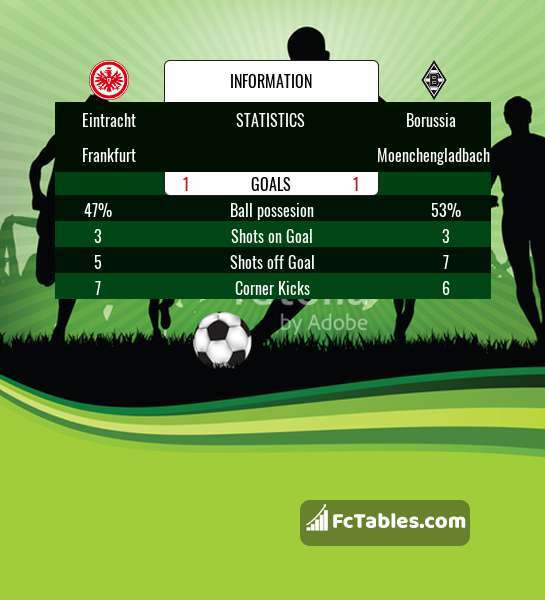 Balace of both teams games are: 10 won Eintracht Frankfurt, 13 wins Borussia Moenchengladbach, 5 draws. In 13 matches the sum of the goals both teams was greater than 2.5 (Over 2.5). On the other hand, 20 matches teams scored more than 1.5 goals (Over 1.5). In 13 matches the both teams have shot at least one goal.